Nobody likes to be in debt, but our modern reality suggests that we will need credit during our lives for various reasons. Because of this it is important to have good credit or to repair your credit if you have made some mistakes along the way. Good credit has great value and poor credit can cause you problems that you might not suspect. Therefore, it has become essential to have good credit. 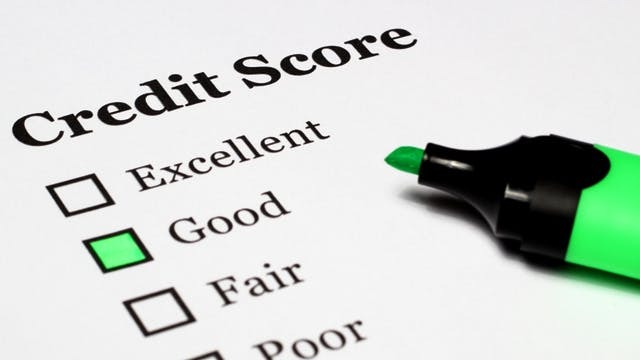 Here are five good reasons to repair your credit. It’s somewhat obvious, but life often comes at you fast. Sometimes we experience unforeseen expenses and need money fast in order to accommodate these moments. When medical expenses aren’t covered by insurance or the damage to your house isn’t fully covered, these are often referred to as rainy days. A rainy day fund is money set aside for such incidentals. Often, we don’t have or don’t want to use the money we have saved on these issues. Having good credit can allow you to finance your way out of these undesirable moments. Inspiration doesn’t wait for proper funding. Often a great business opportunity arises, but the business needs money to get going. Credit is often the mechanism used to help get a business off the ground before it can sustain itself through revenue. Having poor credit can stop you from funding the startup costs or cost you too much in financing to give your business enough breathing room to succeed. Good credit helps you get better lending terms, which lowers your expenses and widens your profit margins. Sometimes in life we are confronted with our dream opportunity, but the opportunity comes with gaps in earning. For example, you go from one job to another, but your new job’s pay cycle is different, and you must make it a longer time between paychecks. Or, part of your new job is incentive pay or commission and those aren’t paid at the same frequency that you are used to. Good credit can help you bridge the gap between the old job and the new. Bad credit could cause the pay gap to put you in a tight spot financially or keep you from making that desired transition. When you apply for credit you are not merely rejected or approved, but you are rated. You might have a good enough credit score to receive a loan, but that loan might be at terms worse than prime. The worse your credit is, the more expensive it is to borrow. Therefore, if you have less that prime credit, your mortgage or car loan could cost you thousands of dollars over the term of the loan. Better credit means better terms and therefore, you save money when you borrow with good credit. It is not widely known, but companies often do background checks when they are hiring. These checks include credit because it is seen as an indicator as to someone’s reliability. You might be perfectly qualified for a job but lose out to another applicant because they have good credit and you don’t. Therefore, it is important for the job seeker and ambitious career ladder climber to have good credit. If your credit is less than perfect, don’t despair. There are some simple ways to improve or repair your credit. ● Dispute any wrong reports that negatively affect your credit. Sometimes our credit is lowered due to inaccurate reports or due to identity theft. Make sure you communicate with the reporting agencies to clean up these errors. ● Use credit wisely. Use your credit card to pay bills, buy gas and groceries, but then pay off the credit balance, in full, every month, on time. ● Don’t over-borrow. Don’t borrow more than fifty percent of your available credit (preferably thirty percent). This signals that you are not in desperate need of credit which gives lenders confidence in your relationship with credit. ● Keep old credit lines open. If you have an old credit card that you don’t use because you got it back when your credit was poor, keep it open. Don’t use it because of the bad terms, but having it tells creditors a story and that story is that you have a long relationship with credit and are reliable with access to money. ● Tether your borrowing to assets. It can be tempting to buy that cute outfit or that exotic nicknack, however, when you use credit you want to use it on value. Buying groceries, paying bills and buying gas count, because you were going to spend that money anyway. Just pay your balance at the end of the month. But, if you buy something that is expensive, but doesn’t retain value, then, you put yourself at risk. You can’t sell the outfit for what it cost you. If you need to liquidate in order to pay off your credit, those items are not helpful. Credit is not important in our current society, it is essential. Unfortunately, many people use credit frivolously instead of as the tool that it is. Because of this it is necessary to understand your credit and manage it well. If you don’t you can cost yourself money, opportunity and create unnecessary stress. And nobody wants that. If you use credit wisely it can save you or aid you when you really need help. If you abuse credit, you will find yourself in a financial corner and perhaps when you need credit the most.